I wanted to create something different from other fitness options available and make it available from your desktop, tablet or smartphone. 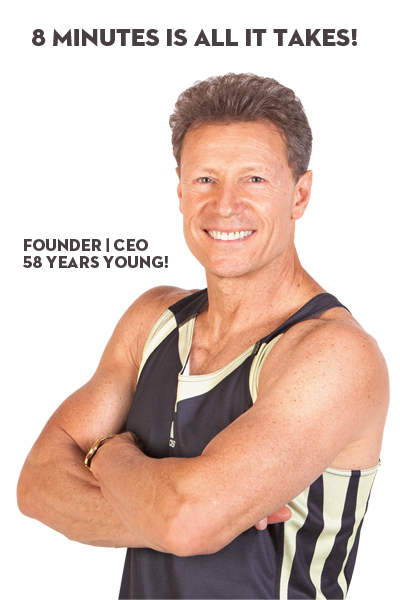 I've been listening to YOU and maximizing your training, your workouts, your exercises, your nutrition (along with helping you with meal planning and shopping lists) and your mindset and… It’s about YOU achieving real fitness at any age or any fitness level including weight or inch loss, increased strength, endurance, firming and toning or flexibility. You'll receive the most efficient and effective, workouts ever... it's a COMPLETE workout and it only takes 8-minutes. I hope you become an 8 MINUTE WORKOUTS member for eating and exercise guidance with me!